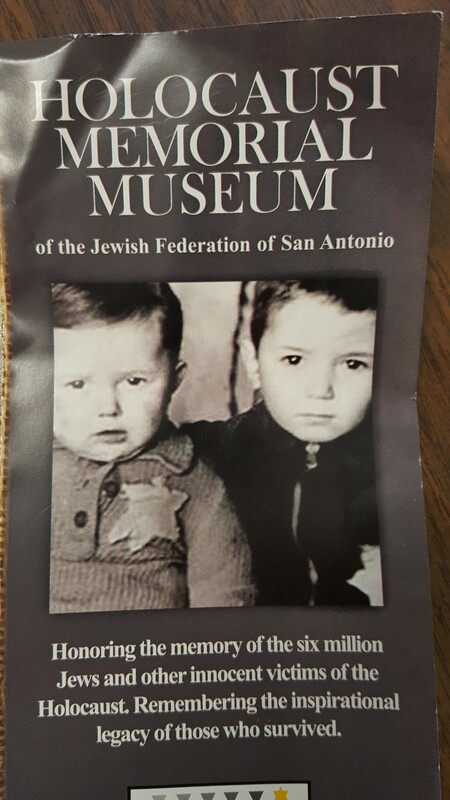 On Nov. 18 JROTC went on their annual service learning trip, this year they went to the Holocaust Museum where they hear the testimony from a survivor, walked through the museum, and discussed modern day discrimination. Cadets line up outside of the entrance of the building. JROTC Cadets entering the museum in order to start learning about the Holocaust. Group B gathered in the first exhibit patiently waiting for the tour guide to introduce the museum. Group B participating in a group activity of analyzing photos from of discrimination during WW1. Cadet Private Daniela Munoz hugg Annie after she shared her experience. Flags displayed outside of the building.